Governor honors Donnelly graduates at commencement ceremony – Welcome to Wyandotte Daily! Donnelly College held its 69th Commencement Ceremony on Saturday, May 12, at the Savior Pastoral Center in Kansas City, Kansas, honoring the graduating class of 2018. Kansas Gov. 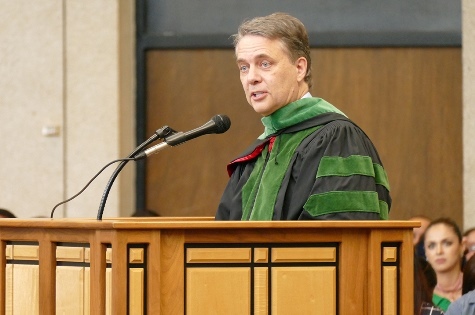 Jeff Colyer was in attendance, providing a charge to graduates during the ceremony. This was the first time a sitting governor has attended a Donnelly College commencement ceremony. The 2018 Donnelly College graduating class consists of 96 students – 35 students that received a Practical Nursing certificate and 61 students that have earned an academic degree, including 11 Bachelor’s and 50 Associate. 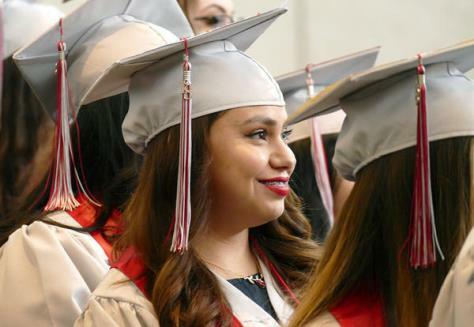 Of these graduates, 72 percent were first-generation college students. During the commencement ceremony, two student speakers, LaCherish Thompson and Todd Kinney, addressed their fellow graduates. Thompson spoke about how each graduate has lost dreams, dreams that have potential and worth pursuing. During his student commencement speech, Kinney told the graduates that as long as they continue to fill their souls, they will be successful in life. Donnelly alumna Dr. Liza Rodriguez, Class of 2001, gave the commencement address. Rodriguez challenged graduates to remain true to themselves, respect others and give back to the community. 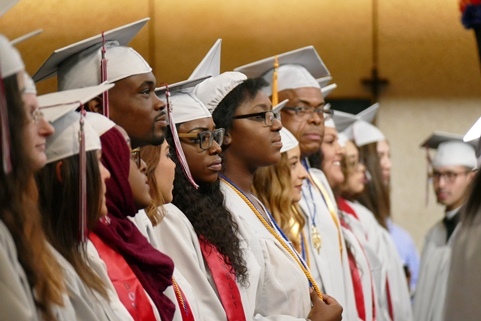 Donnelly’s commencement ceremony also celebrated seven graduates from the Gateway to College program, a high school completion program partnered with USD 500 Kansas City, Kansas, Public Schools, where students earn their high school diploma and receive college credit from Donnelly. Following the commencement ceremony, Donnelly College’s Practical Nursing (PN) graduates were recognized in a pinning ceremony, which is a traditional rite of passage for nursing school graduates across the country. The ceremony was led by Sandra Tapp, director of nursing, who congratulated the 36 graduates for their many accomplishments during the 16-month program. Graduates were pinned by a nursing faculty or a nursing friend from the community who inspired them to pursue and finish the PN program. Donnelly’s PN graduates lit their lamps and recited the traditional Florence Nightingale pledge to close the ceremony.